I usually do book reviews in my “Writing on Wednesday” posts. 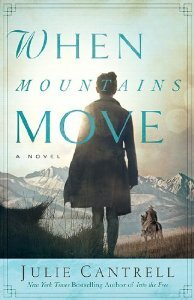 But the book I want to talk about today, When Mountain Move, is the sequel to a Christy award-winning first novel, Into the Free, by my friend, Julie Cantrell. Still aren’t following me? 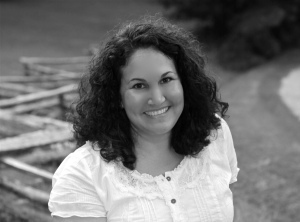 Christy Awards are given for “literary excellence in Christian fiction.” Julie’s books are run-through with faith, but she also has a good handle on the art of storytelling. Her prose is beautiful, and the story keeps the reader turning those pages. It’s Julie’s skill with words that earned her first novel a starred review from Publisher’s Weekly and numerous awards that are unrelated to the book’s faith-based elements. Fans of Into the Free have been eagerly awaiting its sequel, wanting to find out what happens to Millie and Bump as they leave Mississippi to start their married life in Colorado. Will Millie be haunted by the dark events of her past? Will she ever see River again? Will she and Bump be successful in their new ventures? No spoiler alert needed here… I wouldn’t want to give anything away before the book hits the shelves on September 1. (I’ve been reading an advanced reader’s copy.) But I will say that something about her books reminds me of Elizabeth Gouge’s voice in Green Dolphin Street. I think it’s the moral choices the characters make, and her clear distinction between good and evil, which is often blurred in contemporary fiction. Are her characters believable? In the time and place they live, I think they are. Although I probably would have pumped up the dark sides of a couple of the characters a bit more. There were times when Millie was a little too “good” to believe. But then again, look at Marguerite in Dolphin Street. Cantrell’s Kat and Gouge’s Marianne were also fairly tame villainesses. Maybe Cantrell is trying to recover the lost art of moderation as she weaves her tales. When writing this book, I actually wrote six or seven different endings before settling on this one. Pretend you are the author. Write a different ending to this story. Endings are tough to write. I struggled for months before I found an ending for my novel, Cherry Bomb. And I was thrilled that the editor I’m working with didn’t suggest any changes for the ending. (It’s the middle where I’m having to do so much revising.) I’m not sure if I would have written a different ending for When Mountain Move or not. It feels like the story was building to this point all along, so maybe that’s a good indication that the author got it right. If you’d like a personalized, signed copy of either of Cantrell’s books, you can order them from Square Books in Oxford, Mississippi. Julie will be reading and signing at Square Books on September 9. This is the first of three books coming from authors in Oxford, Mississippi, between September 1 and October 1—the “literary hat trick” I mentioned a few weeks ago. Watch for my reviews of The Tilted World by Tom Franklin and Beth Ann Fennelly on September 4, and Robert Khayak’s The Education of a Lifetime on September 11. Reading all three of these books during my recovery has really made the time go by faster!